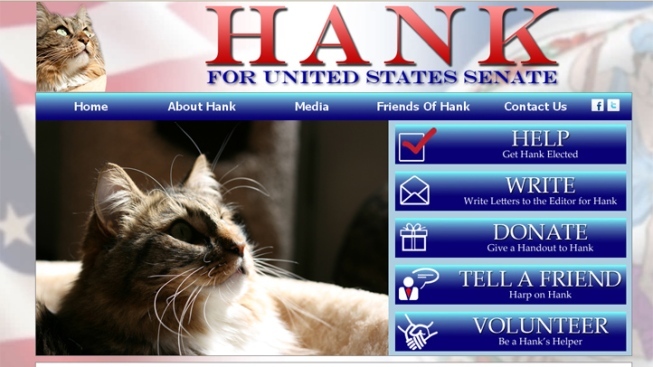 Hank can has Senate seat? Just imagine the fun they'll having today over at I Can Has Cheezeburger. Hank, born to a single mother living on the streets, overcame his humble beginnings. Now the Springfield, Va., resident has decided to take the next step: He's using his dedication, energy and life experiences to run for U.S. Senate. Also, Hank is a cat. 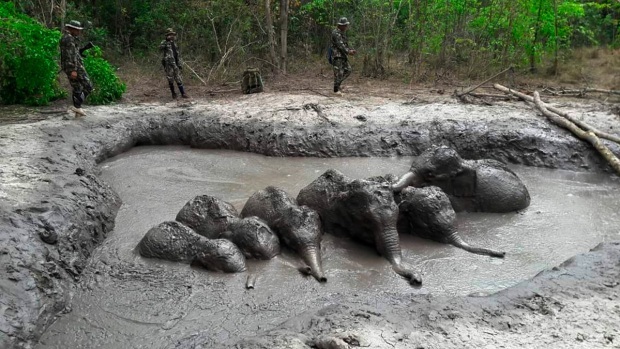 "What people don't realize is that we don't need some new crazy way of doing something to fix our problems," Hank allegedly said on his website, HankforSenate.com. "After all, the problems we face now have been faced by Americans since this great land was founded. Right now we need to fall back on time-tested solutions, not social theory." If you want to help Hank get elected, your options include door-to-door canvassing, making phone calls, downloading a window or yard sign, and volunteering at a polling place on election day. The fuzzy politician says he earned everything he had "through hard work." He wants to focus on job creation and improved living conditions. Also, he has such long whiskers! Who's a pretty boy? "As I've traveled throughout the Commonwealth I've seen real people with real problems," he said, "not guinea pigs for a politician's experiments."